Ipsy March 2019 Spoilers Round #2! What do you think of the bag design and spoilers? If you haven’t signed up for Ipsy yet, click here to skip the waitlist! Did anyone get the eyeko mascara in their feb bag? I’m having such a bad reaction to it- watering blurry eyes. Threw it out but still having the reaction even after removing it. Not in my February bag but I did finally open and use one I got from Ipsy probably a year ago. I didn’t have any issues with it and I actually really liked it, would even repurchase if I didnt already have a back log of unopened mascaras. Sorry that happened to you. Same! Mine shipped last Monday still haven’t received it and it was supposed to arrive yesterday. It still hasn’t been transferred to USPS yet. Mine finally arrived today after being delayed for five days. Tracking never updated until I signed up with USPS for text updates. I get the Plus and it’s fun to look at these for possible $3 add-on items! What a great idea! I get both but this makes me think maybe I should give the regular one up and just grab a few add-ons each month! Thanks! It was a little bit of a let down, but the value that I receive every month from Ipsy GBP is so incredible that I would feel sort of cheeky calling and demanding a sixth item. Unfortunately, my eye shadow palette arrived crumbled to pieces…the darkest colors, of course, covering everything. I sent an email with pictures of the palette on top of the box, next to my address, and I think it was within a day that I got an email that they would send a replacement within a week or so. Just received the email that it shipped, so it did take about a week, but at least they did do the right thing. I want these businesses to thrive and be profitable enough to send us great products. I was absolutely thrilled to receive the Son & Park filter moisturizer, because I use their Beauty Water daily. That’s what I want, so I won’t be calling demanding a sixth item due to an erroneous email. To err is human. My Tarte palette was also crumbled! just one of the colors. I said I didn’t want a replacement but I suggested better packaging because my box was ripped and smushed. I specifically asked if I was going to get another Tarte palette, because I know how much Ipsy loves to send out “comparable” items (this has worked both for & against me: received a nail file in lieu of Luxie brush 😝😝😝, & received Laura Mercier setting powder in lieu of Luna Cosmetics powder 😁😁😁). Twitter CS said that it “should” be the Tarte palette lol. So far the foxybae farmacy ciate and ahava would be my top picks! Will someone please tell me the dimensions of the pink ipsy mailing envelope? I need to order some envelopes for swapping. I want the ipsy size but have used all mine up. Are they 7×12? You can get them at Uline.com. Also, I am Very interested in a swap. I’ve actually really want to do one! I am really upset to find IPSY doesn’t have their forums to swap anymore. Please send info. Regarding swaps. Thank you! If you belong to Sam’s club, look and see what they have. I’m not sure of the exact size but they looked good for swapping. It’s better to order the free flat rate ones from the Post Office. Shipping has gone up and practically anything over 13 oz is $11. The flat rate ones are $7 to ship; but if it’s nothing too heavy probably fine in an Ipsy envelope. Even less expensive route; go to Walmart, Target, office supply store, dollar/discount stores and purchase that size mailer at one of those places. They come in packages, they are usually white plastic bubble wrap envelopes. I think I paid around $3 for 8 of them the last time I bought them. It’s also less expensive to ship if you take it in and ship it regular 1st class mail. Unless it is very heavy. You can always ask for the least expensive way to ship anything. If it’s cheaper to mail flat rate, they have to tell you that. I sent out 3 yesterday,$ 12.13 total. Had I gone flat rate, it would’ve been double. I order the 6 x 10 off Amazon. You can get a case of 250 for about $40. Also check into 1st class package service rate via USPS. Sometimes it’s surprisingly affordable, especially if 13 oz or under. First class packages can be up to 16 oz now. The highest weight is listed at 15.999 oz. I would LOVE to get the brush, ciate lippie, coconut moisturizer, leave in conditioner, and either the mascara or fragrance. Those choices would be my ideal bag!!! I think the bag is really pretty and the spoilers are all good so far. I’m currently not in need of another blush brush, mascara, leave in conditioner or red lipstick. But i certainly won’t be mad if I receive the ones shown here. I would really like to try the First Aid Beauty or Illamasqua products though! Red is my favorite color. But, I really can only use so many. I only wear it if im going out. Not for a daytime look. I did love the Tony Moly lip gloss bar I received this month though. A nice red tint perfect for daytime looks. ipsy shows all their sampled products on the 2nd though. Unless she is releasing them for the following month? she talks a little about each thing & swatches them. …Anyone else have nightmare experiences dealing with ipsy customer service? They straight lied to me in their first response, only after doing a complaint survey againtt the agent in the email did they bother to look up a correct response or know the issue I was experiencing. Then they said, everything would be fine in a few days. It’s now been 6 days. Things are not fine. They emailed me yesterday to say my glam plus is ready for shipping. I go to log in today, and it says that I’m not getting my Feb gbp because I skipped or cancelled it. On my membership page though, it reflects that they billed me for it. I’ve had about 10 emails, & 2 surveys at this point & it’s pure customer service hell. Like pulling teeth & not being able to expect that the answer you get will be truthful & that your agent isn’t acting out of spite for giving them a poor review….FOR THEM LYING REPEATEDLY. Yeah.. I emailed them on the 4th and was told my spoilers would be up in a few days. Still dont know what I’m getting. Same! And I was just told I will be able to see my GBP spoilers mid next week and that my bag should ship a few days after that…. I cant view my spoilers either. This is very frustrating. If they don’t do anything, fight it through the bank, but wait till March to see if they charge you again. My first bag was this month and they charged me in January, but did not charge me again on February, So you might not get the Feb bag, but they won’t charge you again in March for the March one? Get screencaps now of your account page so you have evidence if they double charge you for the March bag. Yep! I don’t get it. I’ve been a subscriber for 3 years now and it just slowly gets worse and worse. I think anybody with a laptop can get that position. ANYBODY! I think they do it from home whenever they have time. I’ve gotten emails at 3:00am and other odd times. It’s usually condensending and corrective with a bunch of FAQs thrown in there. Then I respond, then a week or so later, it’s,”Oops! So sorry! I’ve been out for a few days…” It took 3 weeks and 20 back and forth emails (including pictures) to get it through their heads that my ipsy offer never made it here. Just wow! Omg never had a problem with Ipsy until now!! My check crossed in the mail cuz they charged us a day early so I was late to pay!! Omg I am being punished!! No spoilers no adds and most importantly get worried no bag!!! They assured me I would get it but idk I’m getting nervous!!! I can’t believe my wonderful Ipsy is doing this to me!!! Yep! They charged me on December 31,2018 for the January 2019 Glambag. Good thing I still had enough to cover it. Otherwise, we would be having overdraft fees. I still have not heard back from ipsy about this. Almost two months later, 10 emails, 10 auto responses but nothing else. Because my payment went through, I didn’t have any issues with my Glambag. But it still doesn’t set too well with me that they did that. It’s a computer error telling people they are not getting the February Glam Bag plus because of billing, skipping etc. As long as you were successfully billed it will arrive. The spoilers this month are all so unique and different compared to things I have received in subscription boxes and its refreshing! I don’t think that I would really be to unhappy with any of the things they have shown so far. The brush would definitely be my first choice but the mask looks great to! 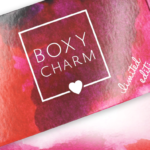 Yea, I love ipsy and boxy charm and the boxy charm deluxe, that’s the 2 with the best brands. Looks like a great month. Spring is coming…. I put in the survey that I’d like the berry lip fix, lord & berry eye pencil or Farmacy balm so here’s hoping. Where can I find that survey? I think that feature is not available to everyone. I emailed them to ask them how to get that feature and they told me it was no longer available. So, maybe people who had it before they discontinued it still have access. I have this feature. I believe the only reason why is because I canceled my membership in the past. Now each month since I’ve been back they ask what I didn’t like. I can pick what items I would like to see and don’t like for the next month. It does seem to make a difference when I remember to use this feature. I’m brand new to Ipsy, January was my first month. I’ve got this feature too. Last time most the things I said yes to on the survey I didn’t get one of them this month. Did anyone get an email that they were getting a 6th product in their Glambag Plus for being a loyal member? And then an hour later they sent me an email saying, “Oops that email was a mistake, you are only getting 5 products!” Boy, what a disappointment. I was not expecting 6 items, but don’t tease me. I got the same email last night and then an hr later, they sent the email saying they were sorry but I’m only getting my 5 expected products…. that’s bad business!! They need to send me a 6th product, it was THEIR mistake and I believe we should hold them to their word. I’m going too!!! I received the same emails and when I contacted Ipsy to say how disappointed I was, their response was to allow me to chose a product in my March bag. Still no 6th product! Definitely not good business nor a good reply! The choices are the spoilers, so it’s not even a good item for me☹️ . I also felt the way their response email was written, was rather hostile, if you know what I mean. They said giving me a choice was a “1x exception” that they will “never offer it to me again”. Never said sorry or any apology! I wish I knew how to respond back to get the 6th product but I’m at a loss based on their lack of compassion and bad business practice over this. Very unprofessional on their part for sure! That’s going a little a far…I see being disappointed but not angry over a mistaken email that they recognized. I even thought to myself “loyal”? That’s a weird term since the glam bag plus hasn’t been around that long, lol, so first email didn’t make sense anyway. i got the same one and i made them send me a 6th item. If you say something then you need to honor it. What was your 6th item? I received the same emails. I was pleasantly surprised, then I was disappointed, then I got over it. Overall, I am really happy with what they provide. It is plain to see they are having some “growing pains.” You can only extract so much from a business model before it is no longer profitable and goes under. I imagine they are already incurring considerable expenses correcting peoples orders for missing, wrong, damaged items. I’m for letting them work on getting their house in order so that they can continue to bring us these fantastic products at a great price. This isn’t going to last if everyone gets vindictive and greedy about every little bump. What Apricot said. happy. sad. over it.